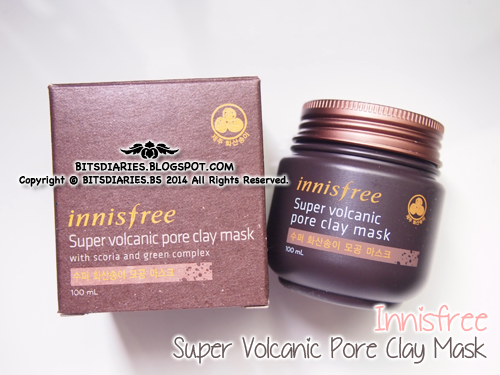 Description: This Super Volcanic Pore Clay Mask contains 6020mg of Jeju Volcanic scoria and scoria capsules that gives a powerful pore cleansing and sebum control effect. It exfoliates dead skin cells and tightens pores, ensuring a clean, supple and healthy-looking skin. 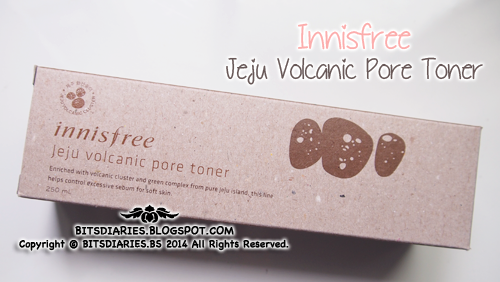 This pure and rare ingredient, formulated from solidified lava caused by volcanic eruptions in Jeju island, absorbs impurities and sebum that are deeply embedded within skin pores. Directions: After cleansing, apply an adequate amount of mask on the face avoiding the eye and lip area and leave on for 10 minutes. Gently massage in circular motion using fingertips before rinsing off with lukewarm water. 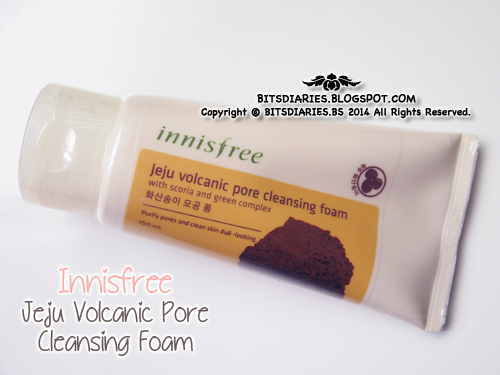 Description: A pore cleansing foam that contains Jeju volcanic clusters which absorbs excess sebum and purifies pores. Directions: Apply an appropriate amount onto wet hands and work into rich lather. After massaging, rinse off with lukewarm water. 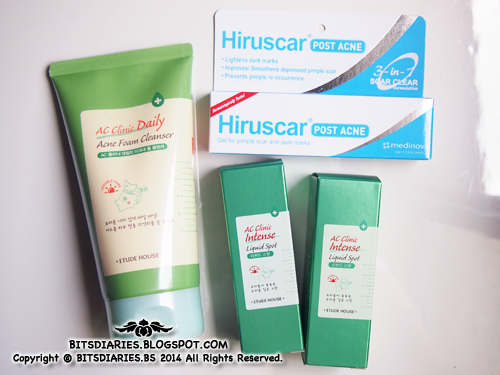 About two+ months ago, I modified my skin care routine, switching from Etude House AC Clinic to Innisfree Jeju Volcanic skin care line. 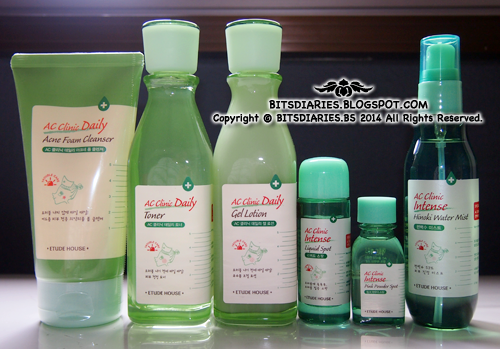 After more than a month of sticking to that skin care routine, I decided to switch back to Etude House AC Clinic. WHY? I mentioned before that I have combination skin yeah...? Some weeks ago, I had a chance to get my skin analyzed at an event. 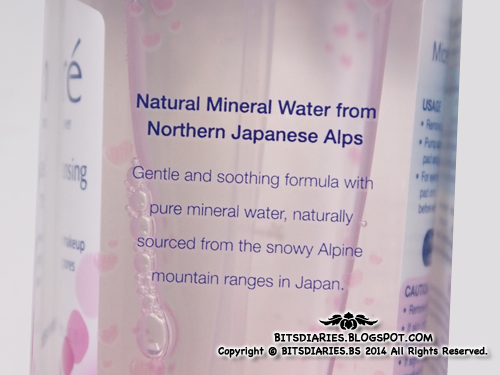 I was told that I have combination skin — oily T-zone and normal + dry on the other areas. That's a BINGO! Quite an accurate analyzing~ I was also told that the sebum production on my normal + dry areas was very low as a result, the areas may be prone to flakiness, redness, breakouts etc.. Guess what? That's a second BINGO! 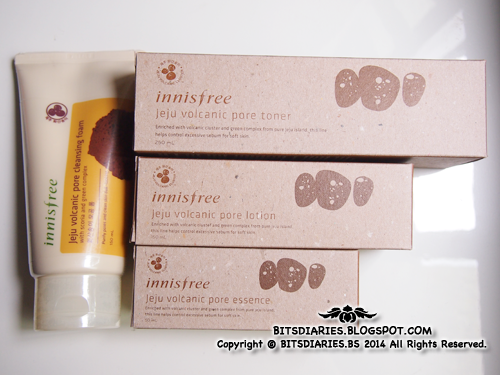 I actually gotten some of the mentioned symptoms after using the Innisfree Jeju Volcanic skin care line for a period of time. Struggling with oily, dry, dull, frizzy, tangled, damaged hair? The New Essential comes to the rescue! Let me share a little background of the brand – "Essential"? Essential is a popular haircare brand from Japan. Understanding the needs of Singaporean girls and their hair woes, Essential has a wide range of products to help repair and care for hair. Essential offers products ranging from basic care like Shampoo & Conditioner to more intensive treatments like Hair Masks and Leave On Serum/Lotions. Previously, Essential has three hair care ranges – Nuance Airy (Pink), Rich Premier (Orange) and Purely Smooth (Light Yellow). This October, Essential relaunches with brand new packaging, improved formula and a new variant! Hurray~!! Description: A sebum control lotion enriched with volcanic cluster and green complex, from pure jeju island, that have strong sebum absorptive power to keep skin grease-free. 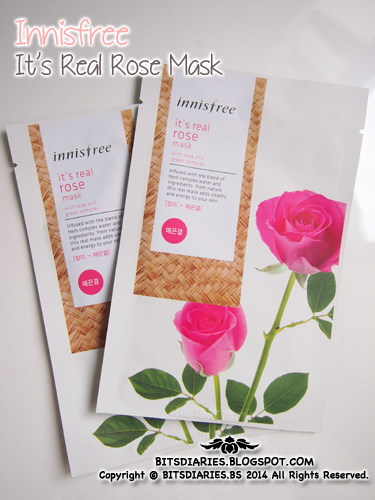 It uses Innisfree's unique Sebum control technology™ to purify the pores and controls the sebum production. Directions: After toner, pour out an adequate amount of lotion and gently apply it all over your face. Description: A sebum control toner enriched with volcanic cluster and green complex, from pure jeju island, that have strong sebum absorptive power to keep skin grease-free. 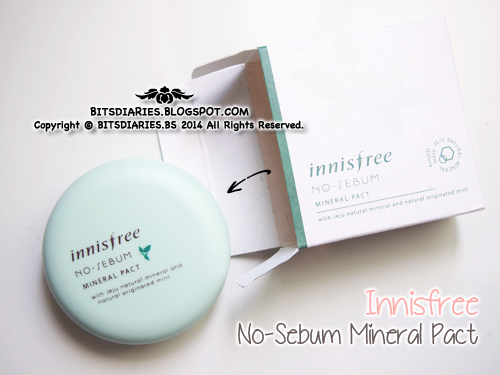 It uses Innisfree's unique Sebum control technology™ to purify the pores and controls the sebum production. [Advertorial/Sponsored] Review: Enhance Your Figure With BottomSlim! Having stubborn fat, lumps and bulges? Wanna get rid of them? But don't know how? First and foremost, let me start with a short introduction on... What is "BottomSlim"? BottomSlim was also the main presenter of Singapore Star Awards 2013 and 2014. Just a quick update on the HAUL of the last two months (August to September). 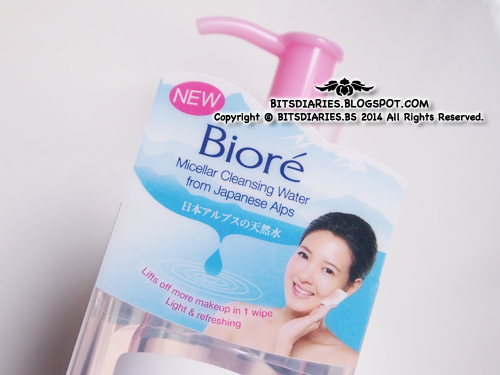 As you may or may not know, I'm a loyal fan of Biore Makeup Removers~~ Throughout the years I have tried their Cotton Sheets, Hydra Clear (one of my favorite products in the Year 2010-2011) and currently, I'm using their Aqua Jelly Makeup Remover, which is part of my holy grail products. FYI, Biore is the NO. 1 Makeup Remover Brand in Japan! 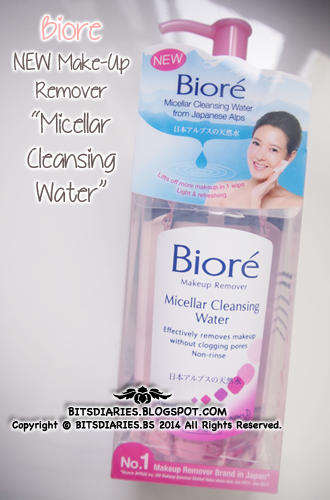 So, I was extremely elated when I know that I was given a chance to try their NEWLY launched water-based makeup remover called the "Micellar Cleansing Water". Description: Micellar Cleansing Water is a wipe-off non-comedogenic, lightweight and refreshing makeup remover that lifts off makeup and dirt effectively in one wipe! 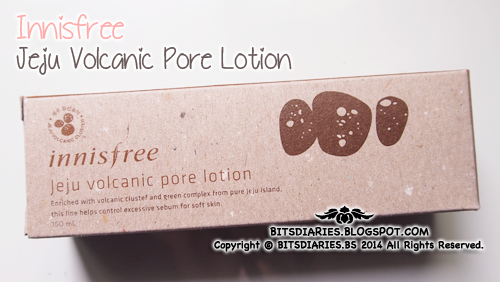 After usage, the skin feels clean and refreshed with no sticky after feel. *Allergy and Ophthalmologist tested; Clinically proven! - Remove lock tab/stopper from the pump. - For eye makeup, place soaked cotton pad onto closed eyes and hold for 5 seconds before gently wiping it off. 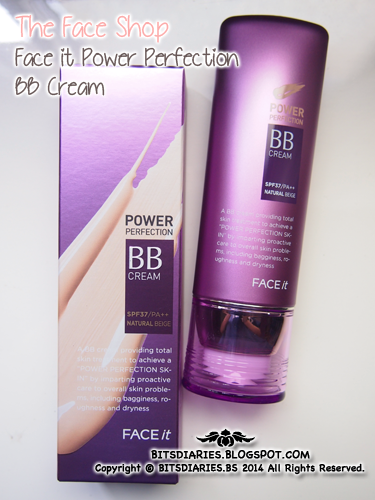 Description: A BB Cream providing total skin treatment, such as reenergizing the skin through power lifting, power moisturizing and power correction effects, to achieve "POWER PERFECTION SKIN" by imparting proactive care to overall skin problems, including bagginess, roughness and dryness. Containing omega-3 and the Vita-skin Complex, the BB Cream enables the skin tone to appear moisturized and radiant with a smoother skin texture. With an airy touch formula, it adheres in a thin layer as light as air yet flawless covers skin blemishes for a lustrous, healthy skin appearance. After basic skincare, dispense an adequate amount and apply evenly to the skin. Then, pat lightly with the palms for full absorption. Pamper the skin of your body with NEW! 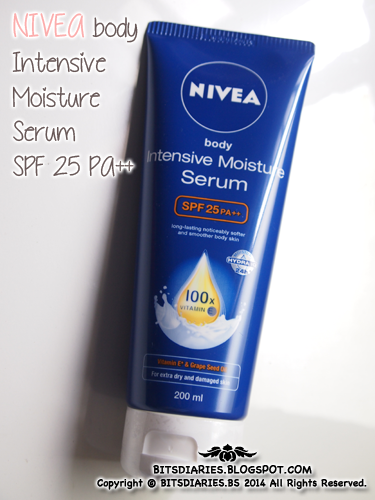 NIVEA Body Intensive Moisture Serum SPF 25 PA++, the first body serum that not only repairs 10 signs of extra accumulated dry and damaged skin within 24 hours, but also shields it from the sun. 100X concentrated Vitamin E and Grape Seed Oil: Have strong antioxidant properties. Capable of defending skin cells from sun induced problems and free radical damages. Avocado Oil: Contains wonderful emollient and hydrating properties. Aids in relieving dryness and itch, contributes to regeneration and rejuvenation of the skin, and repairs dry and damaged skin in the process. Hydra IQ (Inspired by a nobel prized winning discovery): Increasing the number of water channels in the skin cells by 3 times. As such, water flows better and faster from cell to cell, and even reaches the deeper layers of the skin which helps to restore skin’s own moisture supply and regulates the balance of moisture within it. Your skin becomes noticeably softer, smoother and more supple. Skin compatibility and dermatologically approved. *Compare to other NIVEA body lotion, Vitamin E derivative, supported by BDF analytical test. 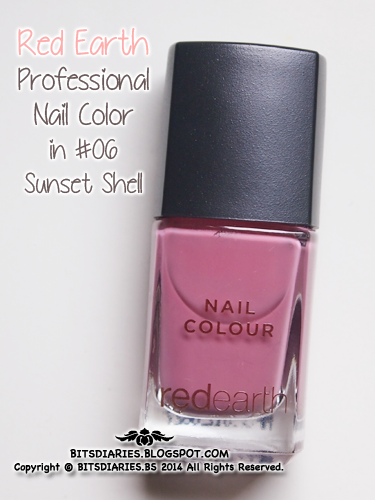 Description: All you need to achieve flawless fingertips and toes. The collection of classic, modern and on-trend shades pays tribute to Australia's natural beauty. The professional two-coat formula is ultra glossy, long wearing and free from DBP, toluene, formaldehyde and camphor. Directions: Apply base coat to clean, dry, filed nails. Apply nail colour starting with one stroke down the centre of the nail, following with strokes along either side of the nail. Apply a second coat of colour, all the way to the tip. Notice: Any enquiry emails I get from 17th August 2014 and onwards, I have read them but have yet to reply... Please kindly excuse my late response~ I will try to response to all your email asap, latest by this coming Sunday or Monday. "A quick update on the change in my skincare routine". 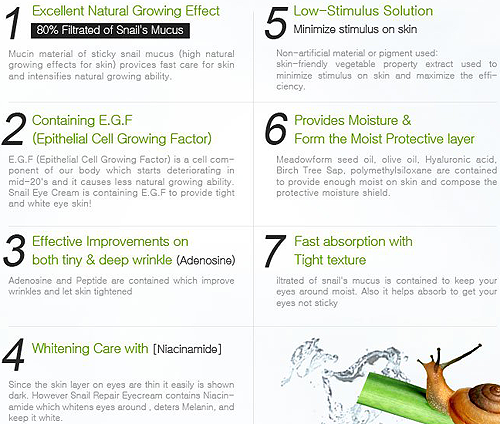 Description: Formulated with 80% of snail secretion filtrate and E.G.F (Epithelial Cell Growing Factor) that are effective in brightening skin around eyes and caring for wrinkles. 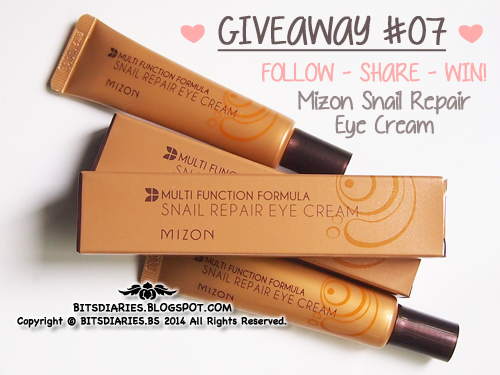 Directions: Apply a small amount of eye cream to the eye area using a gentle dabbing motion. 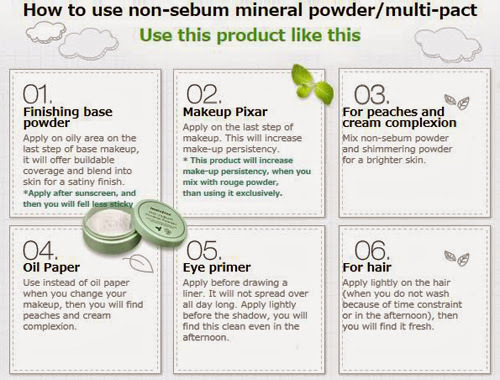 Description: This sebum control powder pact is designed to portray soft and powdery complexion. Oil-controlling and skin-perfecting powder sets foundation and blots away excess shine to keep skin fresh and matte. Translucent powder contains Jeju natural mineral and natural originated mint, ingredients that refresh and nourish skin with every use. - Sebum absorbing and Sebum control — Excellent powder for controlling sebum that soaks up excess oil and sweat. Having fever up and down for three days and it's not yet fully controlled. It kind of comes and goes anytime it wants. Urgh! As a result, my body and brain aren't functioning at all; weak and dizzy. Aside from that, I'm also having flu, sore throat and cough. It's just miserable. But no worries, I am taking medicines and am in the process of recovering. SLEEP, SLEEP and MORE SLEEP is my life for this week. Basically, I spend more time asleep because my medicines cause drowsiness. Each time after taking the medicines, I will start to feel drowsy and tadahhh, back to dreamland. I only wake up for meals, WC and medicines. Such life reminds me of Pokemon "Snorlax". 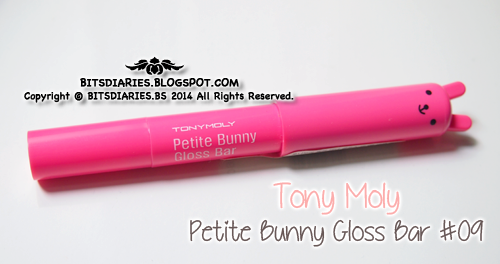 I did a review on Petite Bunny Gloss Bar in #08 Neon Yellow last year. I don't know if you have read it. 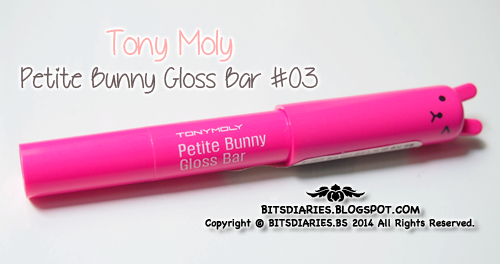 If you haven't, you can check it out here: http://bitsdiaries.blogspot.sg/2013/11/review-tony-moly-petite-bunny-gloss-bar.html Anyway, few months ago, I purchased two more colors — #03 Juicy Apple and #09 Neon Red. By the way, #03 Juicy Apple was a gift for my mom. Notice: Any enquiry email I get from 25th July 2014 and onwards, I have yet to reply to any of them... Well, I'm really busy lately so please kindly excuse my late response~ I will try to response to all your email as soon as possible, latest by this coming Sunday. It's almost the end of the month, which means it's time to share my purchases once again~ This time, I decided to leave out all the non-beauty related stuff and share only beauty related stuff. I will tell you the reason later~ So as usual, without further ado, I shall begin with picture. 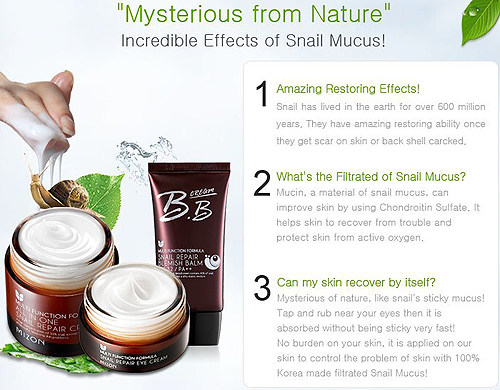 Description: "Enriched with fresh green tea seeds and squeezed green tea from the pure jeju island to deliver abundant moisture and nourishment deep into the skin." 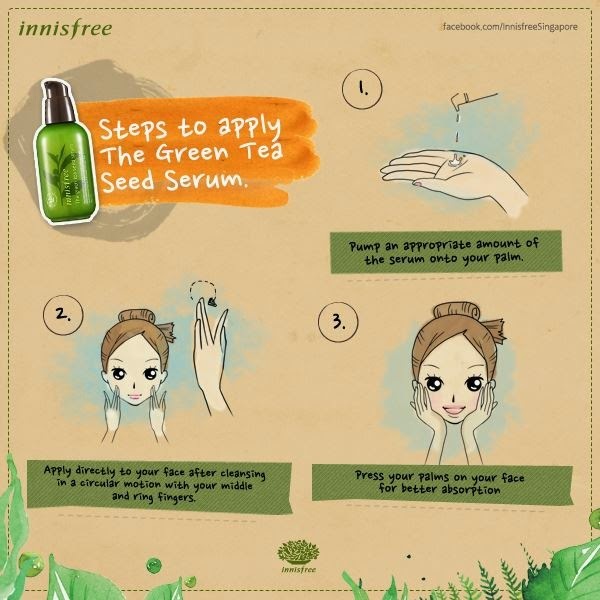 The nourishing moisture serum is formulated with freshly squeezed Jeju green tea and green tea seeds to create a dewy and clear skin from deep within. 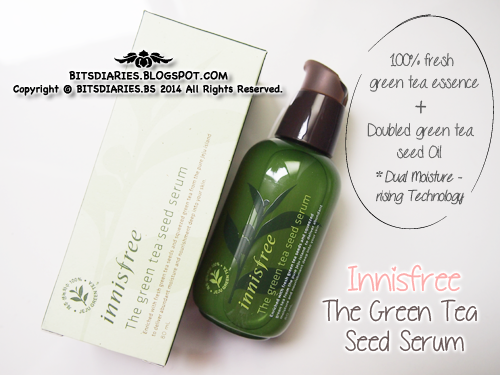 Formulated with 100% fresh green tea essence + doubled green tea seed oil. Directions: After cleansing (and before toner), pump and apply an appropriate amount onto thoroughly cleansed face and neck then gently press your palm on your face for better absorption. Acne is one of the most common skin issues faced by many people, especially teens. So, how acne is formed? Well, I have shared these videos before in my "Summer Breakouts & My Favorite Summer Skincare Essentials 2014" post and I decided to share them again here. To put it simple, acne breakouts happen when pores in the skin get clogged with facial oil called sebum and dead skin cells. Once the pore is clogged, a pimple starts forming and attracts bacteria. Soon after the bacteria invaded, the pimple will get inflamed. 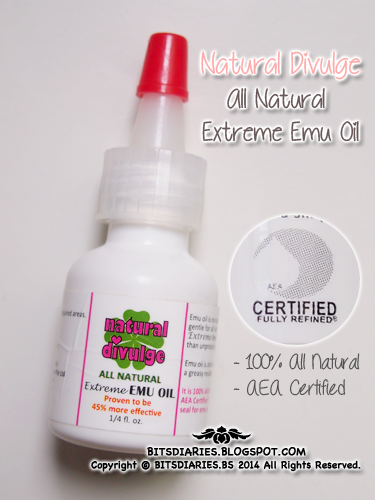 Natural Divulge's All Natural Extreme Emu Oil is proven to be 45% more effective than unprocessed emu oil. Emu Oil's advanced anti-inflammatory activity has encouraged many companies to use it as a base for their skin moisturizing, acne fighting, and muscle/joint products. 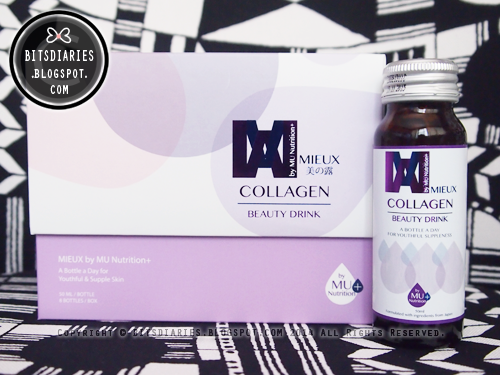 It contains a complete balance of essential fatty acids (Omega 3, Omega 6, and Omega 9), which play a part in almost every function of the human body, including the regeneration of healthy new skin cells. Natural lipids found in emu oil match that of human skin, replenishing these lipids helps replenish skin from the inside out. Also, it supports skin's natural stimulation of proteins resulting in faster rejuvenation. The effects of emu oil to replenish and rejuvenate skin are indisputable. Natural Divulge's All Natural Extreme Emu Oil is non-toxic, hypo-allergenic (non-irritating), and gentle for all skin types. It is 100% All Natural and carries the AEA Certified Fully Refined® seal. Made in USA. Available in two sizes: 1/4oz and 2oz. Directions: As a skin moisturizer, apply daily after shower for maximum effect and once again before bed and as needed. 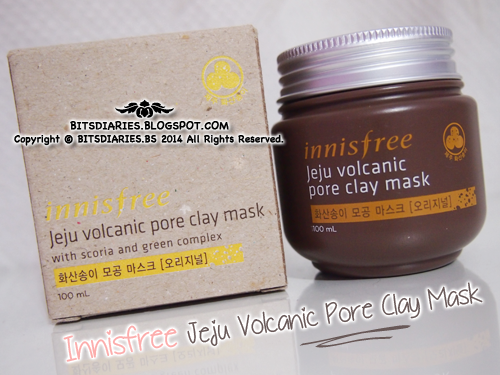 Description: This Jeju Volcanic Pore Clay Mask contains 3000mg of Jeju Volcanic Cluster, which intensively absorbs sebum, tightens and clarifies skin pores. Having a healthy looking complexion isn't difficult! Keeping your skin in tip-top condition is actually easier than you think. Here are 7 Must-Dos for a good and healthy glowing skin. Water works wonder for your body and skin! It flushes toxin and waste substances from your body. Also, it replenishes the skin's tissues, moisturizes the skin and maintain skin's elasticity, giving you a healthy and glowing skin. Thus, drink plenty of water (at least 8 glasses of water) a day! Kick away all the greasy, fried and junk foods! Consume more fruits and veggies (at least 2 servings each every day) instead as they contain powerful anti-oxidents which help to prevent free radical damage, protect your skin cells and slow down the aging process. Not only that... They are also rich in various nutrients(vitamins, minerals, fibers) which help to boost your immune system, detoxification and improve your complexion, keeping your body and skin healthy. Wash your face twice a day. Twice is enough! Over-washing rip away the skin's moisture and disrupts the skin's barrier which can cause drying, skin irritations and redness. During cleansing, be gentle with your skin. Do not rub or scrub your skin. If your skin is prone to acne breakouts, use products that specifically for troubled/acne skin. These usually contain anti-acne ingredients such as Salicylic Acid, Benzoyl Peroxide or Tea Tree Oil. Summer is the season I hate the most. Let me tell you three reasons why I hate summer. 1) I hate the HEAT! 2) My skin tends to be more greasy! 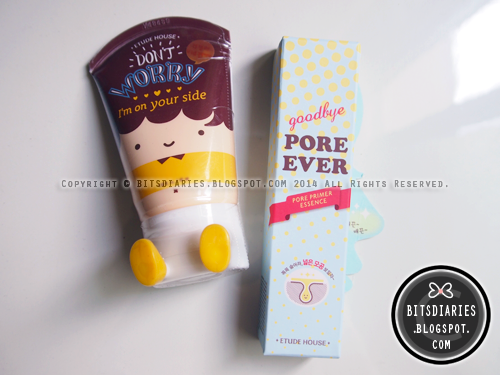 ; More prone to BREAKOUT! During summer, my skin tends to be more oilier than usual. Thus, it get clogged more easily and more often which leads to BREAKOUT! Rawr, I hate this! The reasons/problems stated are not happening only to me. I believe many of you face the same problems as well. Summer causes us to be more prone to sweat, breakout and enlarge pores but there are a few ways to reduce these problems. Let me share with you how I tackle them. Let's talk about 'breakouts' first, shall we? 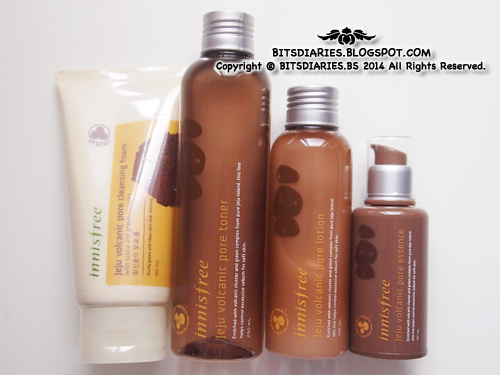 - Containing honey essence with moisturizing effect. - An extra-fine tipped brush that delivers a exact, definite, even stroke when lining the eyes. - Deep black color creates strong contour on eyes. - Water resistance formula yet dries quickly. Easy wash off formula, long lasting, easy to be removed by warm water. - Shake well with the cap on before use. - When using product for the first time, it may be necessary to shake the bottle for a few more times and leave it upside down for a while. - Wipe off excess liquid on brush tip before use. - Carefully draw a thin line all along upper lash line. - Avoid drawing too thick as thick lines may make your eyes look smaller instead. - For best effect, use with Dolly Wink Pencil Eyeliner Black to color in the gaps between lash line and you eyelashes. - Finish off with a 2-3mm flick upwards at the corners of eyes. 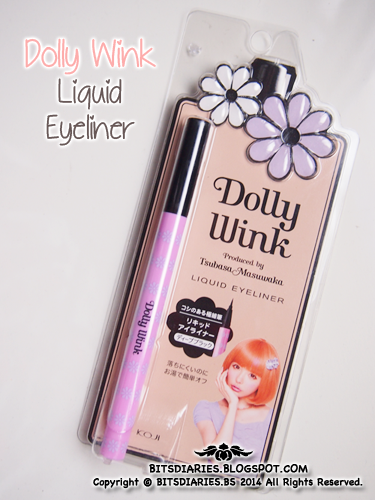 - For more impact, frame your eyes by using Dolly Wink Pencil eyeliner Black for your lower lash line too. Description: Individually filled with Aloe Barbadensis Leaf Extract enriched makeup remover, this soft cotton swab instantly lifts off smudges and makeup mistakes, while leaving the rest of the makeup untouched. 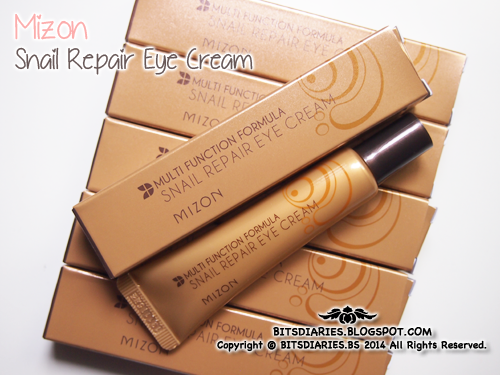 So convenient and compact, it is perfect for on the go quick makeup correction. 1. Hold the bar vertically, the lid side of the bar upward. Pull up the lid in a gentle turning motion to apart both ends. 3. 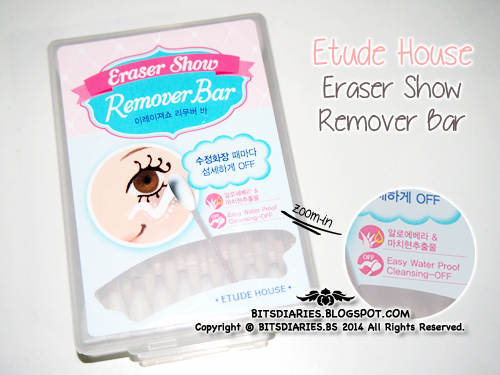 Gently apply the saturated tip of the bar to remove makeup mistakes.